As you plan your wedding you will ask yourself where do I serve drinks in at my reception. 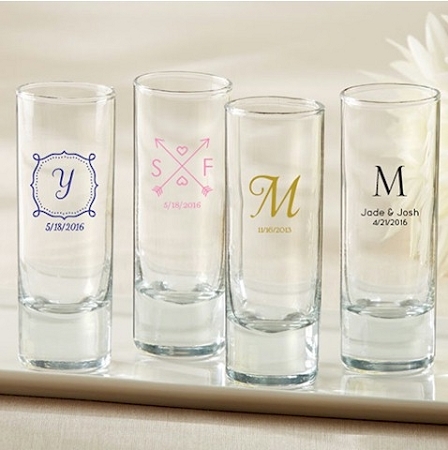 Whether it's for the cocktail reception or wedding dinner, consider personalized glassware favors. 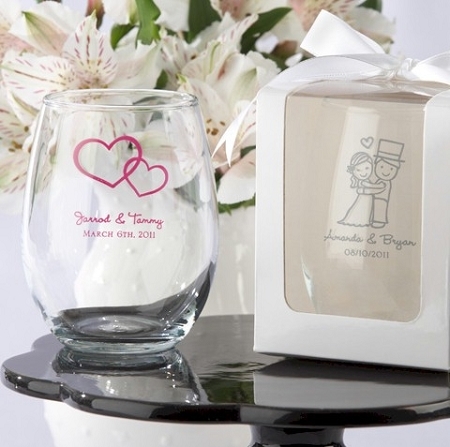 Not only are they used for serving drinks but you'll also have a memorable wedding favor your guests can bring home. 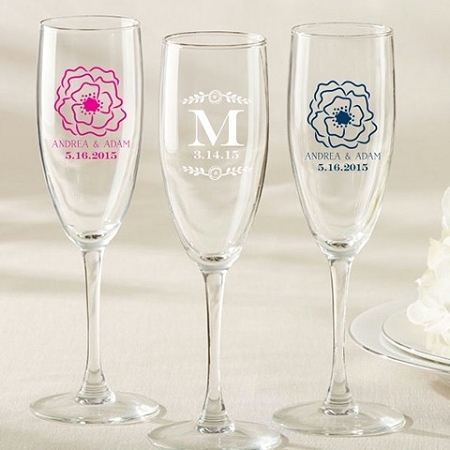 Look at some of our unique glassware favor designs at very affordable prices, custom made for your wedding! The perfect way to at elegance to your wedding. These champagne flutes/glasses are practical and useful keepsakes of your special day...your guests will love to take them home. Our most popular wine glasses are the stemless wine glasses. It's an inexpensive personalized favor which can be customized with bride and grooms names and event date. For a more formal wedding consider our classic wine glasses with stem. Our tall shot glasses and beer can glasses are very popular. The beer can glasses are shaped like a can but made of glass. How cool is that!